When Pain Alliance Austria invited experts for a panel discussion aimed at informing pain patients on the merits of medical Cannabis last February, the interest was beyond expectations. Instead of the anticipated 100 visitors close to 300, some of them clutching crutches, forced their way into the event hall in a prominent hospital. The topic “Cannabis – a wonder drug? What pain patients should know” had drawn sufferers, most of them feeling insecure because of the many controversial articles about the use and misuse of Cannabinoids as a pain killer, others in fear that by using the drug they might become addicted to it. 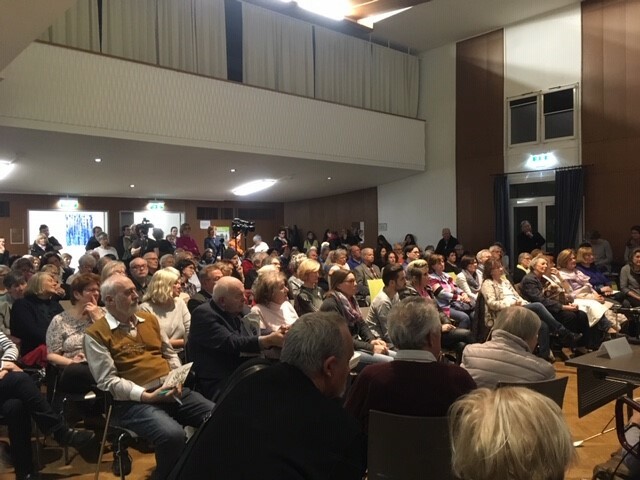 With the help of KURIER, Austria´s second largest daily newspaper, and several pharmacies in the neighbourhood of the hospital who distributed invitations, chronic pain patients were informed about the highly qualified panel which consisted of a specialist explaining the differences in the many existing forms of Cannabis, a scientist and head of Addiction Research in Vienna´s General Hospital, a medical doctor with 20 years’ experience in managing pain with the help of medical Cannabis and – last not least – a prominent pain patient who has been fighting for the liberalisation of the controversial drug, already allowed in some European countries. This very patient lately founded an Association for the protection of consumer rights, lobbying for easier and cheaper access to the Cannabis drug. In a letter to the head of Unit SANTE/E2 “Food Processing Technologies” he urged members of the “Novel Food” working group of the European Commission to argue the case for a liberal approach in European Food Law towards cannabinoids.